added the ability to suggest subjects for your emails. Since last year, Gmail has been offering a feature called 'Smart Compose' to help you finish your sentences and write emails in less time. The capability utilizes machine learning and analyzes your writing habits to offer predictive phrase suggestions as you compose an email. It guesses the next part of your sentence, thereby helping you finish a mail quickly. 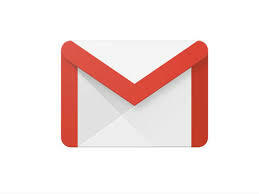 With the latest update for Gmail, Google is enhancing Smart Compose to offer suggestions for subjects. Simply put, the machine learning system would be able to analyze the content of your email and predict what you would want to add as a subject line. If you're wishing someone on their birthday, it will suggest 'Happy Birthday' as the subject with the other party's name. As Smart Compose is enabled by default, you'll be seeing predictive subject suggestions automatically. "When you write the body of your email and then place your cursor in the subject line, you may see Smart Compose suggesting a subject for your email," Google says in a blog post. Once a suggestion shows up, just press 'tab' to use it in the mail. The new feature clearly shows how machine learning could power the future of day-to-day communication. Just like how we get suggestions today, the system could evolve to a point where bots could handle some, if not all, communications. For now, Smart Compose's subject suggesting capabilities are being rolled out for all Gmail users and should be available for you within the next 15 days.